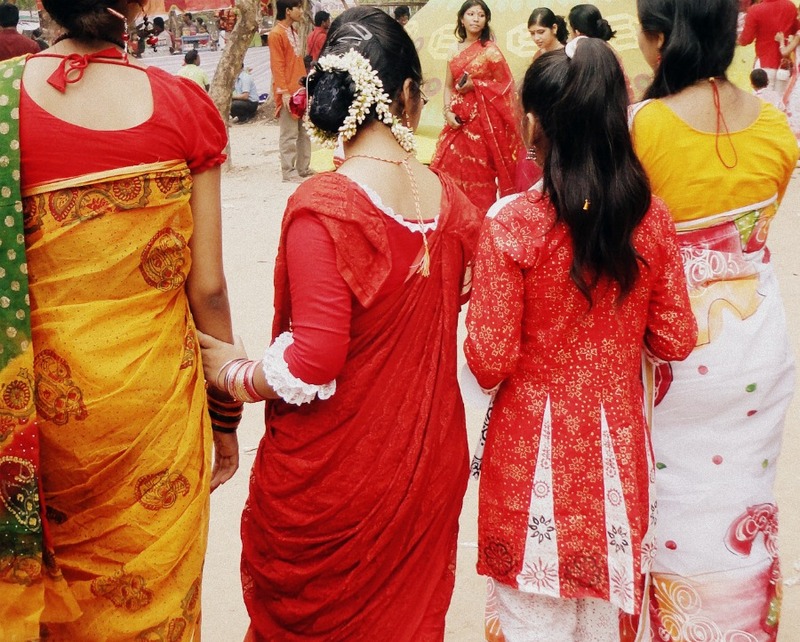 Women usually wear the colors red and white and adorn their hair with flowers on this day. 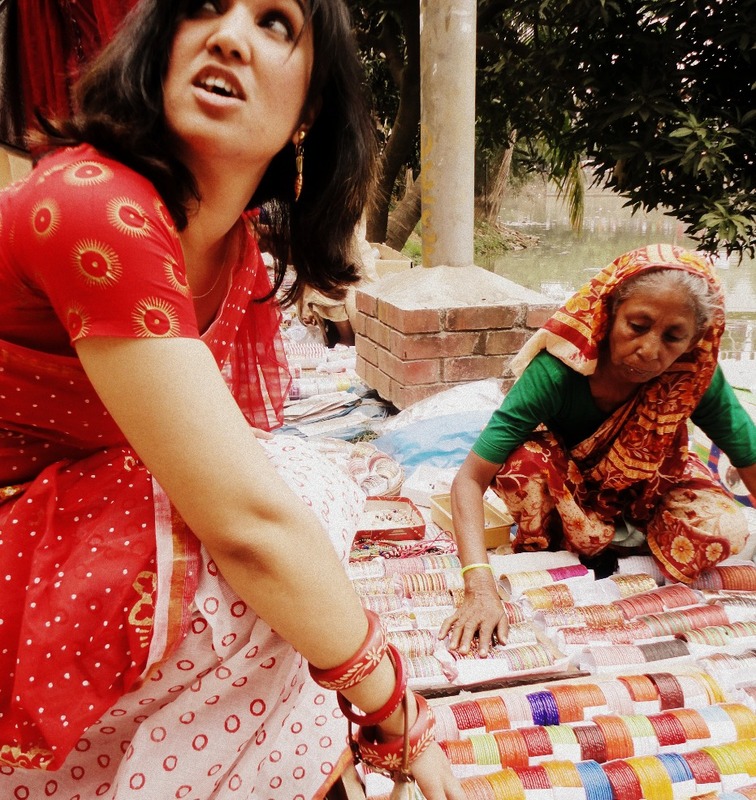 The idea is to dress as traditionally Bangladeshi as possible. 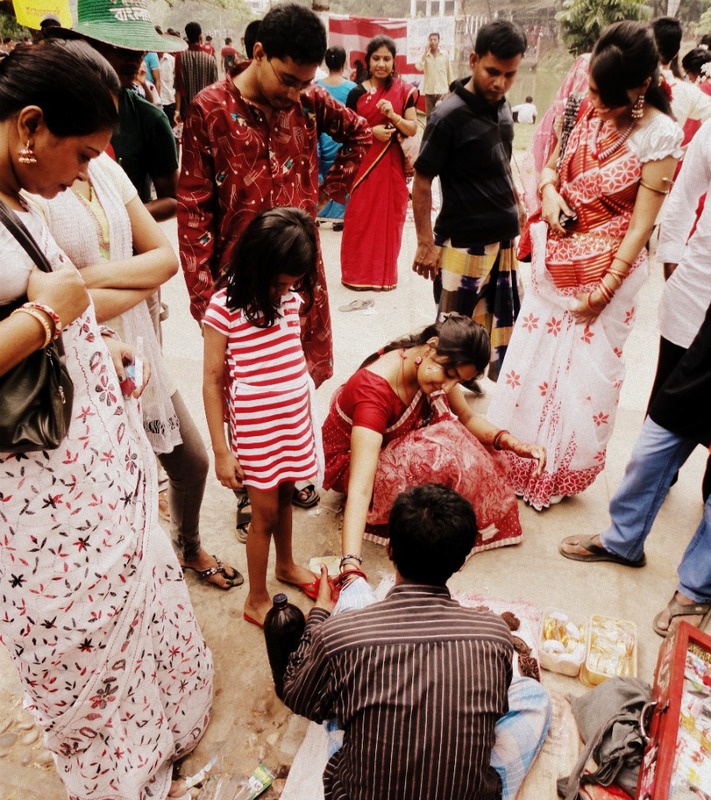 Women selling bangles can be seen everywhere sitting on the sidewalks.